Last month we were in Seattle for the Pirillo wedding and while there we make a pilgrimage to Archee McPhee on a rainy Sunday. 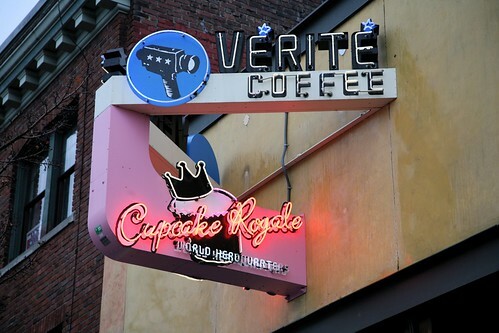 On the way there stopped at the Ballard location of one of my favorite Seattle cafes, Verite Coffee and Cupcake Royale. 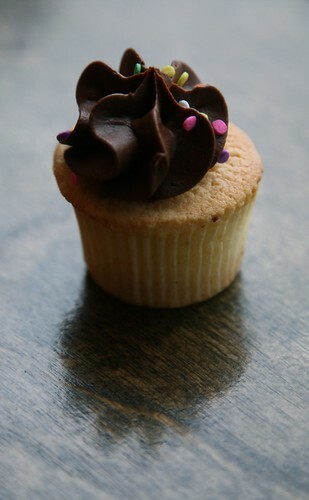 Of course the coffee is great, but if you have a cupcake fetish, then this is the place for you. They make a stunning variety of cupcakes and have mottos like “Legalize Frostitution” and “Rock Out With Your Cupcake Out”. 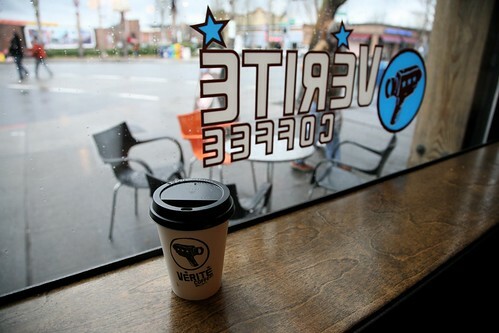 Here are a few photos that I shot while we were hanging out at the cafe.